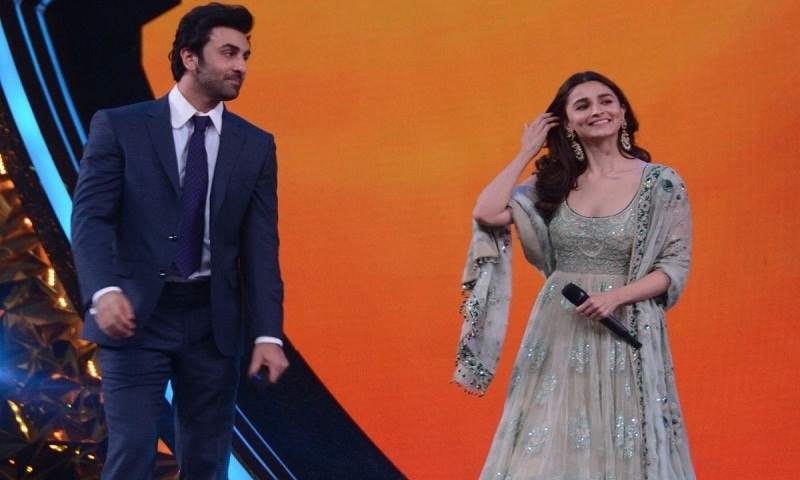 Around 150 drones lit up the sky forming the Brahmastra logo at Kumbh on Maha Shivratri on Monday as actors Alia Bhatt, Ranbir Kapoor and director Ayan Mukerji came together for a one-of-a-kind film marketing initiative, report Ians. “It’s the Brahmastra logo day… Our journey has just about begun and we are at the Kumbh mela, and we are very excited. Look up at the sky,” Alia said ahead of the logo launch. Ayan shared Alia and Ranbir’s photograph on Instagram and captioned it “Shiva and Isha”, the actors’ on-screen characters from the film. The team looked up at the sky as the logo was formed by drones, something never done before for a film’s promotion, according to Alia. Hours before the logo unveiling, the team members had teased fans with what they had planned. Alia took to Instagram and asked fans, “Why do you think we are going to Kumbh Mela?” and Ranbir joked “to leave you there”. Brahmastra, releasing this Christmas, is a fantasy adventure trilogy. The film by Fox Star Studios also stars Amitabh Bachchan and Nagarjuna, report The Statesman.